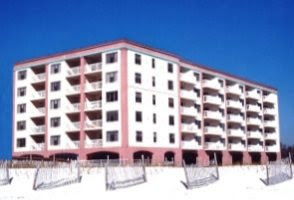 Seafarer condo for sale in Perdido Key FL. This beachfront home has recently been remodeled with new furnishings. Gulf front, corner residence with tile flooring throughout, and updated with gorgeous coastal furnishings. Breathtaking views from the private balcony, living room, and master bedroom. Stainless steel appliances and large eat in kitchen – reminiscent old Florida with low-density. Enjoy the best of coastal living with the white-sand beaches on the Gulf of Mexico and boating on Old River with boat-slips, boat-launch, boat storage, etc. Building has been very well maintained, well funded reserves & on-site management for added value. Condos rarely come available at this community. This residence is non-rental, complex has very few rentals remaining – after a property sells, it can no longer be rented. Come see this unique property today!